Traditional Chinese Medicine is a powerful and holistic system of medicine that has diagnosed, treated, and prevented illness for well over two thousand years. It incorporates the use of natural medicinal plants (herbs), acupuncture, massage, nutrition, meditation, and exercise. Chinese medicine is presently one of the world's main disciplines of medical care, serving more than one fourth of the world's population. It is a precise method of balancing, regulating, and strengthening the life force of the human body, called Qi (pronounced chee). This ancient Chinese healing modality is gaining widespread acknowledgement as a tool for healing. In 1997, the National Institute of Health released a consensus report detailing its proven efficacy in treating pain and promoting healing. Acupuncture involves the insertion of needles along specific points of the body in order to correct an imbalance. 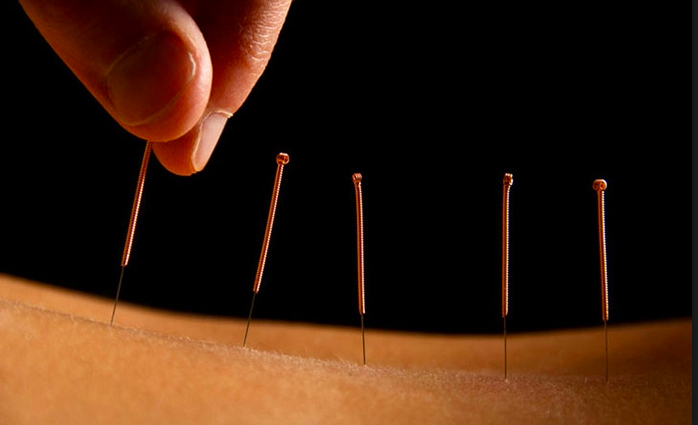 Because acupuncture needles are very thin and flexible, there is little or no discomfort when they are inserted. Once the needles are in, there is a sensation, often an electric or tingling feeling, but usually not pain. Many patients experience feelings of relaxation and well-being during a treatment; some even fall asleep. Community Acupuncture uses only sterile, disposable needles. Herbal medicine is by itself a powerful method of healing. Western drugs are usually used to control symptoms but do not alter the disease process. For example, antibiotics kill bacteria but do not improve a person's resistance to infection, and diuretics drain excess fluid from the body but do not improve the kidney function. Medicinal herbs can rid the body of disease, but they also nourish and balance the body in very specific ways, thereby improving organ function and building up a person's constitution and immune system. 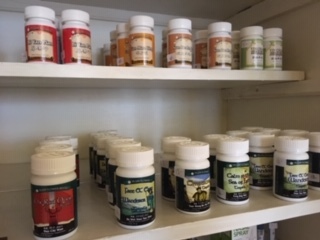 At Asheville Community Acupuncture we have an extensive herbal apothecary of tinctures and patent medicines. Chinese medicine is an excellent tool for maintaining the balance from which good health can flourish. Healthy lifestyle habits are essential to support the healing process and greatly enhance the outcome of treatment. Community Acupuncture emphasizes education and guides patients toward positive changes according to their individual needs. In order to address the full spectrum of each client's health needs, the acupuncturist works closely with other holistic practitioners and physicians. Other forms of health care. Acupuncture is very compatible with other forms of health care. Acupuncturists often work in conjunction with all sorts of other practitioners, such as chiropractors, massage therapists, psychologists, physical therapists, and medical doctors. As a matter of fact, Chinese medicine greatly enhances the effect of other therapies and reduces unwanted side effects from various drugs, including chemotherapeutics. Often the best results can be obtained by incorporating more than one type of therapy. Please inform your acupuncturist of any other health care systems and/or medications you are currently using so that you can receive the maximum benefits from all of them.